Another super easy one today (I know, I always say that, but seriously!). 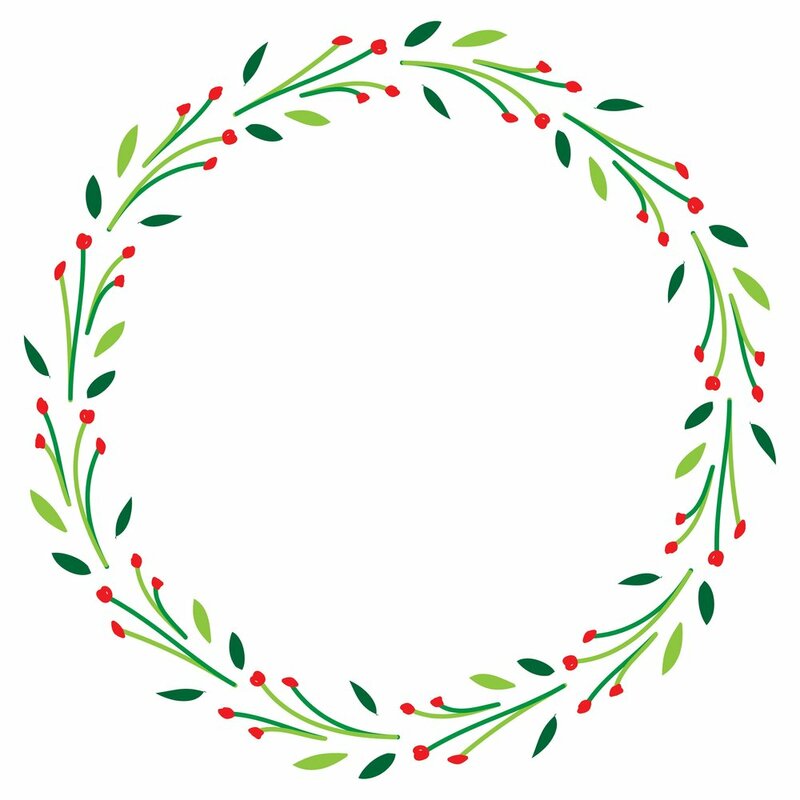 We’re going to create wreaths in Illustrator! It’s as easy as drawing a little doodle, hitting a few buttons and BOOM it creates it for you. These are great coming into the silly season, you can create any design you like! Here’s three that I have made that you can download for FREE from the Freebie Library! First, you need to open a new document in Illustrator. Then you need to do a little doodle of basically anything. This is the pattern that will be repeated around the wreath, so with that in mind, draw whatever you like! It’s good to just experiment with this step. You’ll get a feel for what looks good and works when getting stretched into a circle after a few attempts. Now you’ll need to flip the doodle so it’s on its side (I’ll show you what happens later when you don’t flip it on its side). Just select the whole shape, hold down shift, hover over its corner and click and drag to rotate! Now we need to open the Brush panel. Window > Brushes. Then click the icon in the top right corner of the Brushes panel to add a new brush. Now we’ll need to create the circle shape, so select the Eclipse tool from the Shapes panel, hold down shift to keep it in the shape of a circle, click and drag to create the circle. Tip: You can change the weight of the stroke to change the size of the pattern! You can use this to your advantage and create some pretty cool things like this! So just remember that the brush will display whatever orientation you save it as. How easy was that? So go and make ALL the festive wreaths to your hearts content! Let me know down below if you have any questions, or show me the wreaths that you've made!